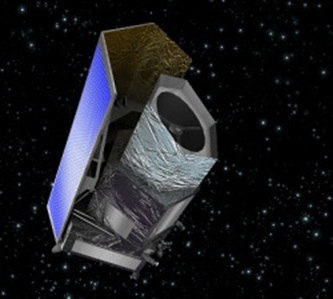 EUCLID mission is an ESA project aiming to map the geometry of the dark Universe. It will measure shapes and redshifts of the galaxies, looking back in time of 10 billion years. Euclid will cover the entire period over which dark energy played significant role in accelerating the Universe expansion. Astri Polska is involved in this scientific mission with providing the Electrical Ground Support Equipment (EGSE) for the Mass-Memory Unit (MMU) of the spacecraft. The Astri Polska activities started in March 2015. The contractor for the payload of the mission is Airbus Defence and Space. The prime contractor for the whole mission is Thales Alenia Space (TAS) Italy. A milestone reached in the project is the ESTEC industry day, on which TAS presented the mission outlines and procurement plan.